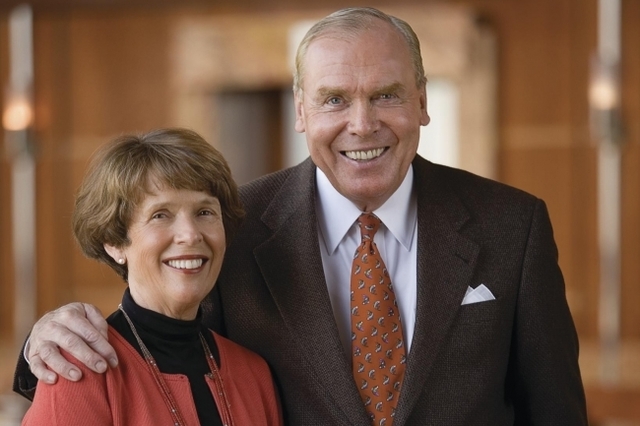 Mormon Billionaire and Entrepreneur Jon Huntsman Sr. best know for his efforts to eradicate all cancers died at age 80. Huntsman overcame poverty and became one of Utah’s most successful and powerful businessman. He is the founder and chairman of an $11 Billion company, the Hunstman Corporation, where they produce assorted polyurethanes, performance products, and adhesives for customers like BMW, GE, Chevron, Procter & Gamble, and Unilever. Huntsman once served as an area seventy for the LDS Church since 1996 to 2011. He also served as a stake president and the President of the Washington, D.C. Mission from 1980 to 1983. Huntsman was married to Karen Haight, daughter of the former LDS Apostle Elder David B. Haight. They are the parents of 9 children, 56 grand children, two of which are adopted from China and India. His eldest son, Jon Huntsman Jr., served as a missionary in Taiwan for two years. Hunstman Jr. was also an executive in the Huntsman Corporation, and has served in the government for every presidential administration since the presidency of Reagan. He was also appointed by Reagan as the Deputy Assistant Secretary of Commerce, and had also served as the U.S Ambassador to Singapore, China and currently the Ambassador to Russia (Trump Administration). He was also elected as the Governor of Utah, and a candidate of the in the Republican Party presidential primaries in 2012. Jon Huntsman is a four-time cancer survivor where he founded an institute to find a cure for the disease. Mr. Huntsman assistant, Pam Bailey, confirmed the death but when asked by the cause, he refused to answer. According to Washington Post, Huntsman had a painful inflammatory condition, polymyalgia rheumatica, and previously had prostate cancer.